The Kitchen and Greene Naftali are pleased to celebrate the release of Tony Conrad’s Ten Years Alive On The Infinite Plain, a previously unreleased recording that documents the piece’s 1972 debut performance at The Kitchen. 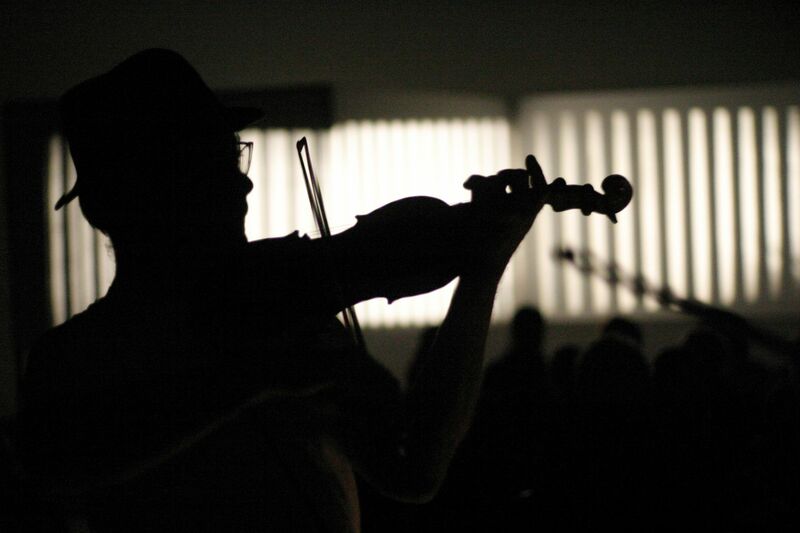 Ten Years Alive On The Infinite Plain is the quintessential work of artist/filmmaker/composer Tony Conrad. Comprising both a film installation and minimalist score for amplified strings, it leaps across genre and medium to connect Conrad's revolutionary structural filmmaking with the experiments in long-duration sound that he had begun in the 1960s. For its 1972 premiere, Ten Years featured Conrad on violin, with Rhys Chatham and Laurie Spiegel performing on instruments Conrad had made. Chatham played the Long String Drone—a 6-foot long strip of wood with bass strings, electric pickup, tuning keys, tape, rubber band, and metal hardware—while Spiegel carried out an arrhythmic bass pulse throughout. At the release event on July 13, the recording will play in The Kitchen’s theater alongside a sampling of the associated film projections. Records will be available for purchase courtesy of Superior Viaduct. This program is made possible with endowment support from Mary Flagler Cary Charitable Trust, annual grants from The Amphion Foundation, Inc., The Aaron Copland Fund for Music, Howard Gilman Foundation, The Fan Fox and Leslie R. Samuels Foundation, and The Andy Warhol Foundation for the Visual Arts; and in part by public funds from New York City Department of Cultural Affairs in partnership with the City Council and New York State Council on the Arts with the support of Governor Andrew Cuomo and the New York State Legislature. Image: Tony Conrad, Ten Years Alive on the Infinite Plain, The Kitchen, New York, 2005. Courtesy of the Estate of Tony Conrad and Greene Naftali, New York.